An American survivor of the Sept. 11, 2001 terrorist attack in New York who reached out to Japan's northeast following its triple disaster in 2011 has for years fostered a unique bond with the region's people, finding the connection mutually beneficial in coping with the traumatic events. 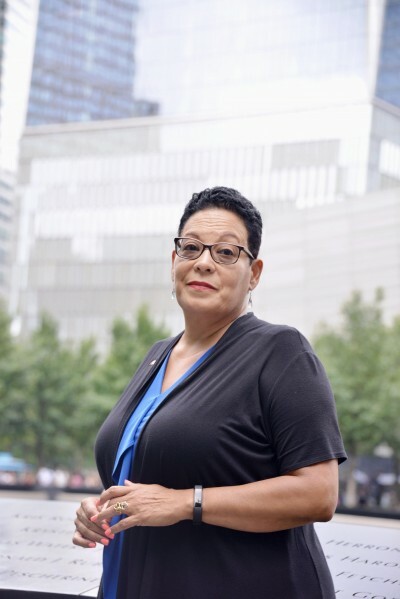 "I thought we would be helping them, but they were helping us," said Jeanette Gutierrez, 56, an office worker who volunteers as a docent at the 9/11 Tribute Museum in Lower Manhattan. For a period of nine years after the attack on the World Trade Center's twin towers, which she witnessed from her nearby office, Gutierrez said her memories of the chaos and destruction were too overwhelming to talk about, even with people close to her. Over 2,700 people were killed in the deadliest attack on U.S. soil as terrorists flew hijacked commercial airplanes into the North and South towers, both of which collapsed. Gutierrez was moved to begin sharing her own story of the horrific event by a visit to the site in 2009, where a volunteer guide encouraged her to open up as part of the healing process. She joined as a volunteer herself the following year. "I talk about the people who no longer speak for themselves. It gives me purpose," she said. After Japan's Tohoku region was hit by an earthquake triggering a massive tsunami and nuclear crisis on March 11, 2011, the leadership of the September 11th Families' Association created a program to lend emotional support to survivors in Japan. Gutierrez was one of seven 9/11 survivors who in 2012 made a first trip to Japan through the outreach program, and has found in it a powerful way to foster recovery from trauma with a sense of meaning and connection. One of her vivid memories from the inaugural trip is meeting Fumiaki Konno in Rikuzentakata, Iwate Prefecture, and scaling a hill to the Shinto shrine where Konno had seen his town washed away in the tsunami. "He flipped open his computer and showed us his house, and here comes this crazy massive wall of water, and then everything is gone," she recalled. Gutierrez said she was moved to tears by Konno's bravery in volunteering and calmly describing his tragedy only one year and four months after it had occurred. Konno, 67, who now lives in disaster relocation housing in Rikuzentakata, said Gutierrez's annual visits to the Tohoku region taught him to "carry the lessons of disaster" while advocating for his city's recovery. "You are easily lulled into the illusion that you know the result of the disaster because of the information flow in media coverage. But you don't really understand," he said. "It is an endless challenge for us." Konno said he admires Gutierrez's concern for the mental stability of victims. The two have kept in touch by frequent email correspondence on topics ranging beyond the disasters that first brought them together. During Gutierrez's fifth trip to Japan with the outreach program this July, her group toured a Fukushima Daiichi nuclear power plant reactor that remains in ruins after its explosion in 2011. It was a "scary" sight, she said, but one that epitomizes the lengthy process of recovery. She also visited Hiroshima in western Japan on a personal endeavor and spoke with a survivor of the U.S. atomic bombing on Aug. 6, 1945. "I left there thinking this can't (be allowed to) happen again," she said. In August, a group of Japanese students affected by the 3/11 disaster came to New York and toured the 9/11 memorial with Gutierrez. 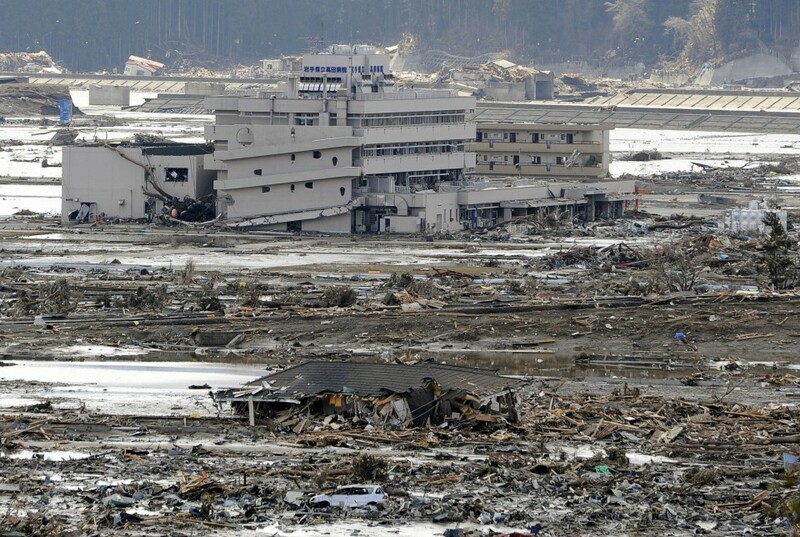 Masumi Koiwa, 23, whose family is still recovering from financial losses sustained when the 3/11 earthquake hit Kamaishi in Iwate, said her American companion made her realize the importance of recounting her own story. "I feel people's attention to 3/11, like 9/11, is withering every year, just like my memory," the senior at Fukushima University said. "Now I realize how important it is to carry and benefit from our experiences, not to make 3/11 just a catastrophe."